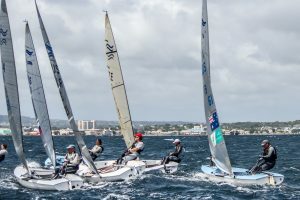 After two days of very strong winds, the third day of the Finn World Masters in Barbados brought a much needed relief to sailors, with slightly lighter winds, though the racing was perhaps even tougher as almost everyone was now racing rather than just surviving. Rafa Trujillo, from Spain, retakes the lead at the top of the 140 boat fleet with a win in Blue fleet. Michael Maier, from Czech Republic, drops to second, and Piet Eckert, from Switzerland, remains in third. 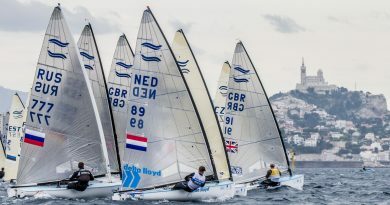 Allen Burrell, from Great Britain, dominated yellow fleet, leading round the top mark and extending on the chasing pack led by the French sailors Marc Allain des Beauvais and Laurent Hay. The downwind was almost sedate compared to recent days, but the upwinds were still a tough slog against the short step waves, with the occasional huge swell rolling across the course area. Eventually Allain des Beauvais pulled away for second with Christoph Burger, of Switzerland, crossing third. 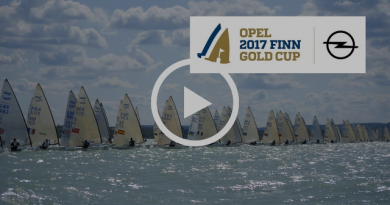 The Blue fleet contained the past three former champions with Trujillo sailing away for an easy win. There was a giant battle for second place between Eckert and 2015 Masters champion, Vladimir Krutskikh, from Russia. Eventually Krutskikh crossed ahead of Eckert, while Maier recovered to cross fourth and remain second overall. Seventh placed overall, Karl Purdie from New Zealand, did have the day he was hoping for after a series of mistakes left him ninth in the race but he spoke well of the venue. Burger’s third place lifts him to sixth overall. 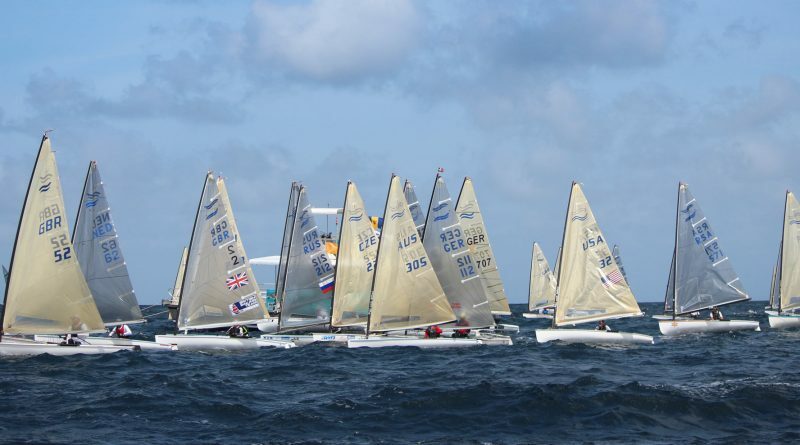 In the morning the Annual Masters Meeting took place in the Barbados Yacht Club. Among the decisions taken were to formally adopt a Masters Europeans to follow on and complement the good work done by the Thé club in Tihany, Hungary, over the last six years with the Euro Cup. 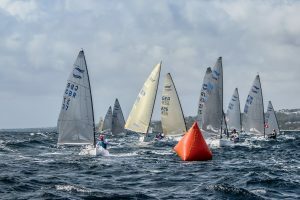 Then the vote for the 2019 Finn World Masters took place with a very close decision in favour of the Royal Danish YC at Shovskoved, Denmark. Otto Strandvig, of Denmark, had jointly presented the bid with Lars Hall. Strandvig said of Barbados. 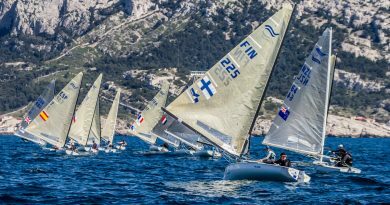 While there have been enough races for a valid series, one more is needed to be completed to introduce a discard and to have a medal race. 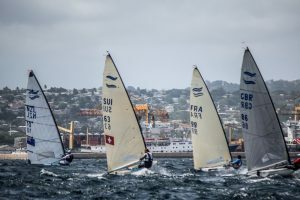 Two races are scheduled for Thursday to complete the opening series before Friday’s Final Race and then the medal race to decide the 2017 Finn Masters World Champion.